← Put the Big Rocks in first! The doldrums of January may have hit. Though we began the New Year with high hopes, those fifteen pounds, that discouraging situation, or our fears of facing a seminary course can keep us from heading to the gym, trying again, or calling Admissions! 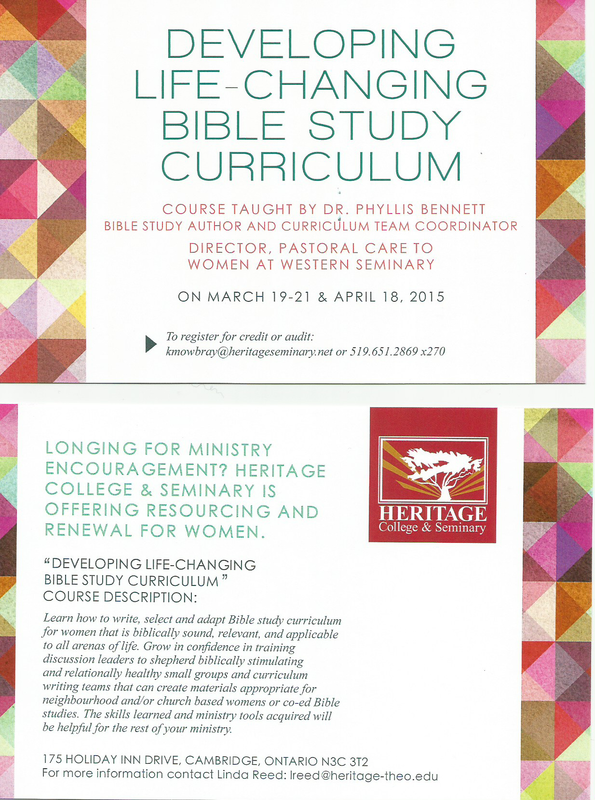 A few years ago, after my husband had asked me to join him in writing Bible study curriculum, we learned an invaluable lesson we called “rolling the rock.” After taking a wonderful course with Phyllis Bennett at Western Seminary on curriculum writing, I began to spend the early mornings every day first with God, then with an open Bible and a blank computer screen. The chapters of Nehemiah, and the stories of Courageous Christian series unfolded each day, bit by bit. Some days writing came easily, but most days I just slogged along. In my mind, I pictured a huge boulder that needed one huge push and a one roll every day. By God’s grace at summer’s end, fall study guides rolled out. Each August, the Met team made them beautiful, and small groups all over the city had curriculum. The impossible was accomplished by just “rolling the rock” a little bit every day. How about you? 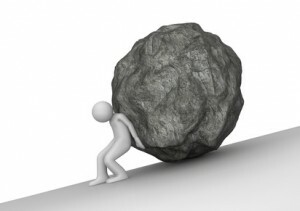 As you now face the reality of 2015 – where could you just “roll the rock?” What project, done a bit each day, could be achieved for God by summer or the fall? Speaking of “rocks to roll,” Phyllis Bennett is coming here to Heritage to teach the very same writing course that was so helpful to me. 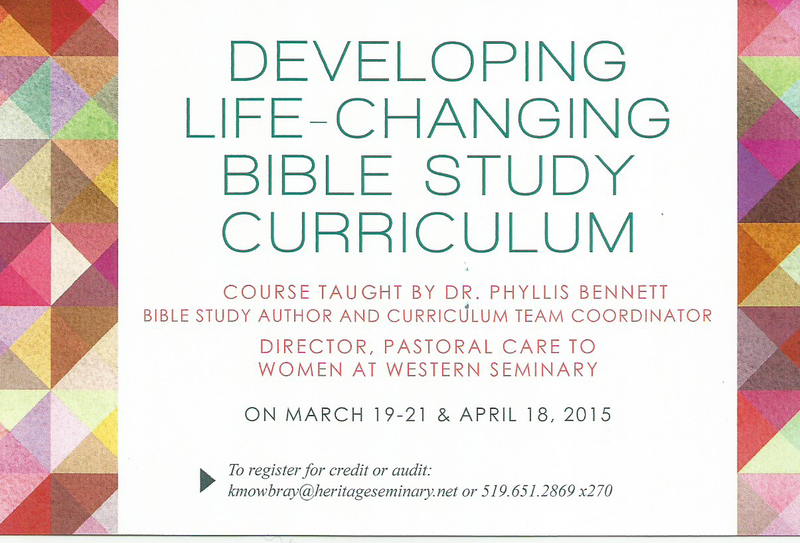 This course is part of the Graduate Certificate for Women in Ministry (more info here). Don’t miss this opportunity, after all, anyone can call Admissions! This entry was posted in Heritage, Life Lessons, Ministry Matters. Bookmark the permalink. Thank you for this encouraging note Linda! I have a new rock to roll as I just started an on-line course in education. You have been an inspiration to me with your own studies and yes it is a daily choice that enables us to do big things. I always appreciated the Fall study guides at the Met and know it was alot of work. May you and Rick have a blessed year.